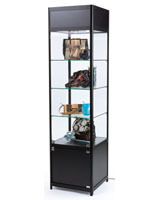 This tower display storage cabinet offers high visibility and security, making it ideal for commercial and retail merchandising. 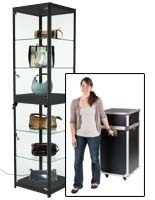 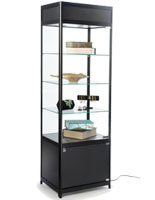 Each black finish showcase is 78" tall, and includes 3 tempered glass shelves for displaying merchandise, a locking access door, and lockable enclosed base. 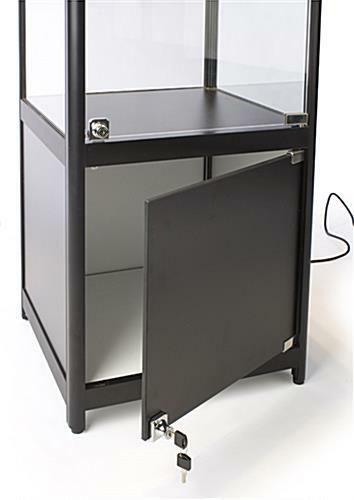 This retail merchandising fixture features sturdy aluminum and MDF framing for stability, with three halogen lights built into the top of the enclosure for illumination. 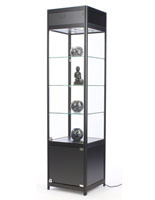 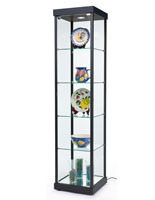 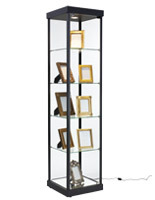 This black framed display storage cabinet is designed for stability and visibility without sacrificing security. 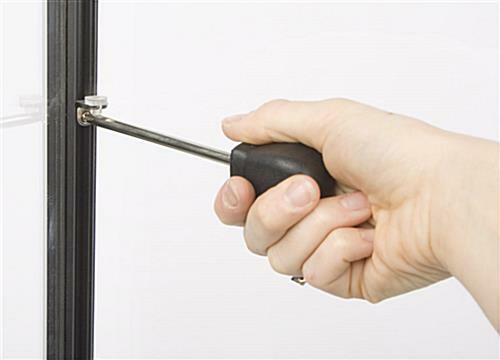 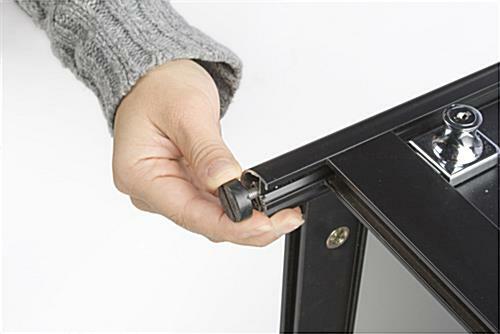 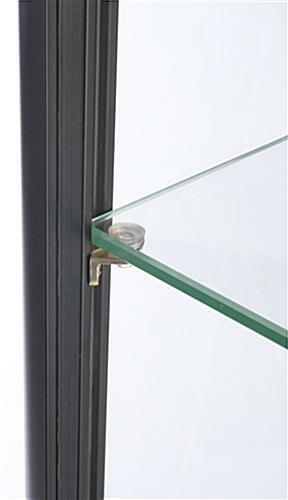 The lockable hinged access door and base enclosure protect contents from tampering, storage or theft. 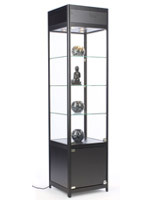 This retail display storage cabinet with halogen top-lighting's 20" square design is ideal for showcasing retail merchandise, antiques, awards or trophies, and samples. 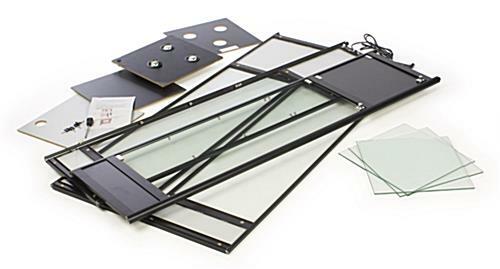 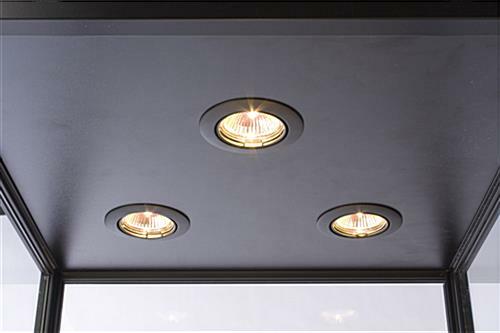 This economical fixture ships knocked down and offers simple assembly.